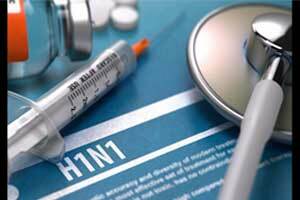 Shimla: Including two cabinet ministers, twelve fresh cases of Swine Flu detected in the state till Thursday, whereas the number of H1NI case went up to 189 in the state, the senior officer of Health Department said. Dr Sonum Negi, State Communicable disease and Surveillance officer said that till Feb 13, out 32 samples, 12 were found positive for H1N1 and one patient died. He said that so far 558 influenza patients undergone clinical trial and 189 found positive for the swine flu. He said that one died due to swine flu between on Feb 13 belonged to Kangra district increasing the number of casualty up to 22. Out of that out of total 189 H1N1 cases, 59 cases were detected in Kangra and 54 in Shimla, 20 in Mandi, 17 in Solan, 11 in Hamirpur Bilaspur eight, six in Chamba, four in Sirmaur, three each in Una and Kullu and one each Kinnuar and states of Haryana. Two members of Himachal Pradesh Vidhan Sabha and minister Mr Suresh Bhardwaj and Dr Ram Lal Markanda also tested positive for the swine flu. The two were undergoing treatment at IGMC. Among the other prominent Himachal Pradesh Vidhan Sabha speaker Rajiv Bindal, Virbhadra Singh and Inderdut Lakhan Pal were found positive of swine flu at IGMC including six new positive cases detected for h1n1 today. About 18 patients are suffering with deadly influenza in the Hospital. Swine flu had been taken 22 lives in the state including Kangra nine, Mandi five, Una, Hamirpur and Shimla two each and Bilaspur and Solan one each. Seven patients succumbed in the IGMC sofar. The state recorded only two death due to swine flu in 2018, 15 in 2017, five in 2016 and seven in 2015. Influenza spread through virus surfaced the first time in 2009. He said that the world health organisation (WHO) did not consider this as epidemic as the new guidelines issued by the WHO placed swine flu in outbreak category. The government is providing free of cost treatment for swine flu in IGMC, Tanda Medical college and Central Research Kender in Kasauli and Tamiflu tablets are made available to the patients. The department issuing an advisory to the people time to time after outbreak cases are pouring in large number in the state.